Keystone ski resort is a paradise for skiers and snowboarders – especially if you have the inside scoop on where to ski, eat, party, and play. Even the arrival to Keystone is family friendly: Cars with four or more passengers pulling into the River Run lot are waved to the front of the pack, where they’ll also find red wagons to haul gear the short distance to the village and lifts. Two programs entering their sophomore seasons define the Keystone experience: Kidtopia is not to be missed, and the Friday Night Club features live music at the Summit House. The Outpost is among the finest on-mountain dining facilities in the ski world. During the day, stop by the Timber Ridge Food Court for its Pacific Rim-infused offerings (or the Epic Mountain Burger); try lunch or dinner at the Alpenglow Stube (at 11,444 feet, it’s the highest AAA Four Diamond dining experience in the country); or enjoy an evening of Swiss-style charm at the Der Fondue Chessel (which takes over the Timber Ridge space when the sun goes down). Keystone’s third annual Winter Culinary Festival was designed to offer information on culinary trends, wine and cocktails while also spotlighting the resort’s award-winning restaurants. The March 4-6 2011, event included seminars, tastings and the ultimate Grand Tasting. Still want more? Five Kid’s Adventure Zones are sprinkled across the mountain, identified on the trail map by Ripperoo’s dog bone. The Zones consist of woods, tunnels, bridges, hideouts — and the occasional Ripperoo sighting. 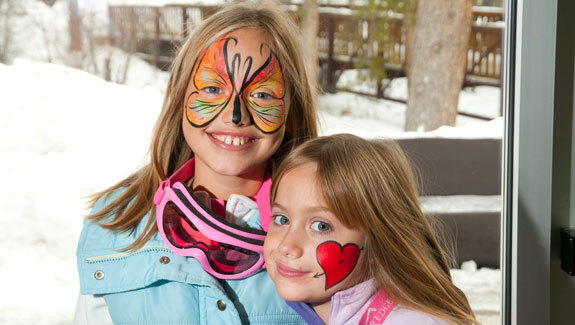 Guests staying at a Keystone Resort-managed property receive the Adventure Passport, which gives them free or discounted access to Adventure Point, ice skating on picturesque Keystone Lake, scenic sleigh rides and other activities ranging from yoga classes to wine tastings.